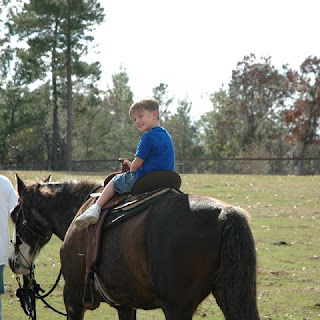 One of the fun things we did while at home was take Andon horseback riding. 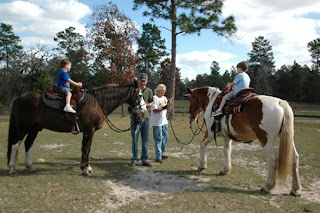 My Father in law has some friends who have a couple horses, they said we could come over any time to ride. So sweet! 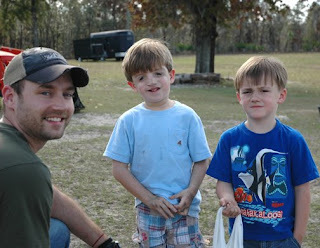 We also took my four year old nephew Cody along for the day. Look at those dirty little faces!! Besides riding the horses they also played on a huge sand mound while we were riding. I think they liked playing in the sand more! It was so much fun! Thanks so much Gil and Carol for letting us bring the boys over for the day! that looks like so much fun! What a cool thing to be able to do for free. That was an awesome blessing. I miss you girl. Hope all is well with you back home. Cute blog. Thanks for sharing the pics. 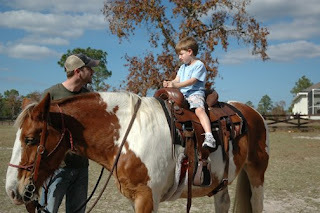 Oh, I love horseback riding!! Used to do it all the time! Glad you had a good trip to FL!! Have a good weekend! 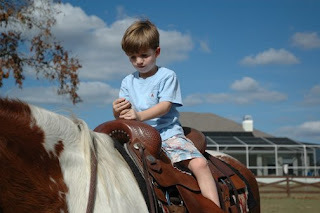 My kids love going horseback riding! 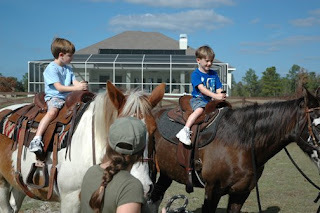 Last time we went, we actually let the kids ride on their own and have a couple short trots/runs. I can't wait to do it again. WOW, Andon has gotten HUGE! So has Jared! lol, Just kidding. Your family looks great and I'm glad you guys are happy and doing well up in TN.